When Marlene Bawell moved from Bird-in-Hand ten years ago, she was in the deepest of mourning for her mother. Now they have moved back so her father can seek employment after being laid off. To help save money, Marlene works at the hardware store owned by Rudy Swarey’s father. She knew Rudy growing up and didn’t think much of him—because he was so immature! But just as she starts to realize how much Rudy has changed, her life is once again turned upside down. Will Marlene ever have a chance to find her own true home? Elizabeth and Gideon Beiler experienced one of life’s most tragic events. 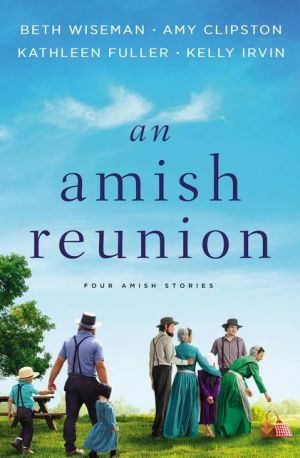 Unable to get past their grief, the couple abandoned their Amish faith and went in different directions, though neither could bear to formally dissolve the marriage. When their loved ones reach out to them to come home for a family reunion, Elizabeth has reason to believe that Gideon won’t be there. Gideon also thinks that Elizabeth has declined the invitation. Family and friends are rooting for them to reunite, but will it all be enough for Elizabeth and Gideon to get past their grief and recapture a time when they were in love and had a bright future ahead of them? At eighteen Hannah Kauffman made a terrible mistake. Her parents and members of her Jamesport Amish community say they’ve forgiven her. But she feels their eyes following her everywhere she goes with eighteen-month-old Molly. Thaddeus, Molly’s father, escaped this fate by running away to Jamesport. Now that Thaddeus is gone, Hannah’s old friend Phillip is stepping up to be by her side. He has waited patiently for Hannah to realize just how much he cares for her. But when Thaddeus returns after two years, Hannah can’t deny the love she feels for him. Does the fact that Phillip has waited patiently for her all this time mean that she owes him something? Can she trust either one of them? Can she trust herself? She has repented and been forgiven by the One who is most important—her heavenly Father. But is she willing to risk making more mistakes by opening herself up to love?